Handy access for all your toys, or even a car or truck! 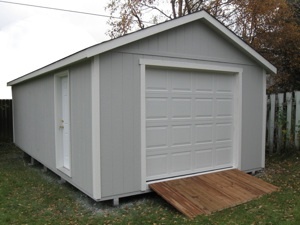 Please see the Portable Garage page for pricing. 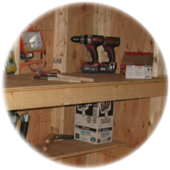 Ramps are built of treated lumber and allow you to easily roll in a lawnmower, wheelbarrow, or four wheeler. 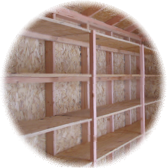 Shelves made of CDX plywood help keep your storage area efficient and organized. 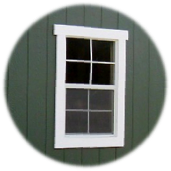 Add one or more single hung windows for light and extra ventilation. 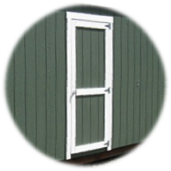 Our white colored, single pane, aluminum windows blend well with any exterior. 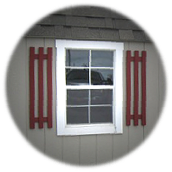 Add charm and style with window shutters. 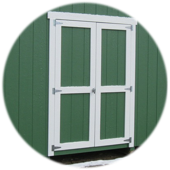 All doors can be installed on sides, or on the end of your shed. 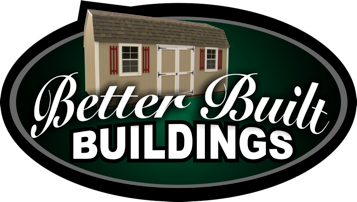 Our standard double doors are 62 in. wide on buildings larger than 8x12, and 52 in. wide on buildings 8x12 and smaller.